Ever since the stock market tanked in 2008-09 there have been innumerable news stories and blog posts about how the 401(k) has failed investors. The term “201(k)” was coined to describe the losses suffered by many investors. It is true that there are a lot of sub-par 401(k) plans out there in the marketplace. On the other hand, I have many clients who have or are the process of amassing significant retirement nest eggs via their 401(k) plans. Ignoring it. How many stories have we seen over the past few years about plan participants who were afraid to open their statements? The better solution is to be proactive: figure out an investment strategy for your retirement savings, implement that strategy, monitor your allocation, and adjust when appropriate. Assuming that the auto enrollment percentage contribution is sufficient to meet your retirement goals. Trust me, it isn’t. Many plans auto enroll all new employees unless they opt out. Generally the deferral percentage is low, 1% or 2% of compensation is common. This might be a good start, but if you don’t increase your contributions you can likely count on a pretty dismal retirement lifestyle. Not taking advantage of professional help. Many people are uncomfortable making investment decisions for any number of reasons. 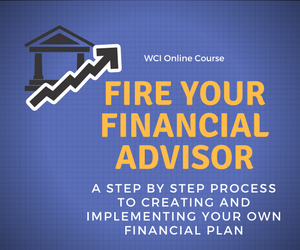 If you work with a financial advisor already make sure that they are providing advice on this account as well. Many plans offer advice services that range from online to one-on-one consultations. Some of this help is free, some carries a cost, if you are uncomfortable managing your 401(k) yourself go get the help you need. It’s never too early to get serious about your retirement and make sure that you are on the right path. Assuming that that a Target Date Fund is the right solution. On the surface the Target Date Funds offered by your plan looks like the ideal solution, especially if you are uncomfortable allocating your account from among the other investment choices offered by the plan. This has been reinforced by the use of Target Date Funds as the default option by many plans under the safe harbor provisions of the Pension Protection Act of 2006. What could be easier? You pick the target date closest to when you are likely to retire, you make your contributions, and you basically set it and forget it. Unfortunately it’s not that easy. Target Date Funds with identical target dates can often look quite different. Different Target Date Fund providers may offer funds that are geared “to” retirement while others are geared to go “through” retirement. I strongly suggest that no 401(k) participant take anything on faith here. All one needs to do is to look back on the recent performance of shorter dated funds during severe drops in the markets. Witness the losses suffered by many Target 2010 funds during 2008. Look closely at the Target Date Funds offered to you. Understand how they will invest your money and what retirement Glide Path they take. Decide if this is the right approach for your situation. Remember, you don’t have to investment in the fund with the target date closest to your expected retirement date, go can go with any of the funds that best fits your needs. Investing your 401(k) account in a vacuum. I see far too many plan participants who fail to take a total portfolio view of their 401(k) account. By this I mean including the 401(k) along with their spouse’s retirement account, IRAs, old retirement accounts still at former employers, brokerage and mutual fund accounts, individual stocks, and other holdings as a total investment portfolio. Not doing this can cause you to take too much or too little investment risk in your 401(k). Beyond the 401(k) having all of these accounts not being managed in harmony is just a waste of these investment dollars. You worked hard to accumulate these assets, make them work just as hard for you. In short develop an investment strategy that takes all of your investment assets into account, ideally one that is based on a financial plan. It’s easy to blame the system or other factors if you are unhappy with the performance of your 401(k). Rather than blame anyone, there is no better time to take charge of your retirement than today. Please feel free to contact me with your financial planning questions. Check out our Financial Planning and Investment Advice for Individuals page for more information about our services. Target Date Funds: Does the Glide Path Matter? Great tips. Most people are waiting for someone else to tell them what to do with their 401(k). Many don’t realize it is on their shoulders. Ornella thank you for your comment and for visiting the site. Your comment is right on the money. For better or worse retirement readiness is on us going forward. Thanks for your comment. Your approach of treating the 401(k) as a component of your overall portfolio is the right approach in my opinion.